In this video, Sharon Choe talks about a testing library that provides 'test-doubles' that can be very helpful for testing pieces of code. 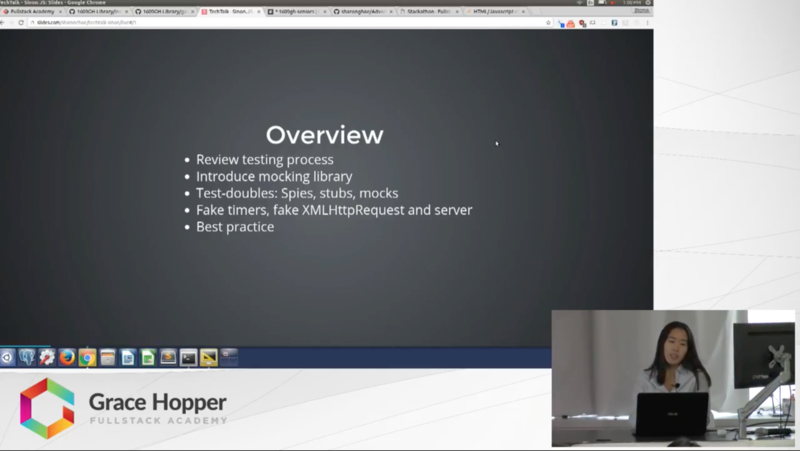 Sharon briefly reviews the testing process and where a mocking library proves to be useful. Sharon introduces Sinon's API and how to use the many tools that are available. Sharon dives into deeper detail in some coding examples.